The Keynote Speakers have established themselves internationally through their artistic practice and their mindful lifestyles. Born in Japan in 1941, artist Mayumi Oda depicts powerful goddesses in the Buddhist tradition. 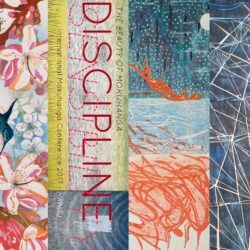 She graduated in 1966 from Tokyo University of Fine Arts, in fine art and traditional Japanese fabric dyeing, which influences the color and composition of all of her work. Called “the Matisse of Japan,” she has exhibited in over fifty one-woman international shows and her work is in the permanent collections of several of the world’s leading museums. 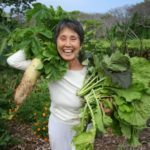 Mayumi has also long been a deeply committed international anti-nuclear activist, a founder of Plutonium Free Future, INOCHI international environmental organization and Gingerhill, a farm and retreat center on the Big Island of Hawai‘i. 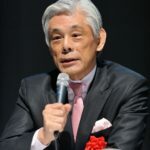 Former Ambassador Seiichi Kondo is Director, Kondo Institute for Culture & Diplomacy. He was appointed Ambassador, Special Envoy for UN Affairs in 2013. He served as Commissioner of the Agency for Cultural Affairs from 2010 to 2013. He was previously Ambassador Extraordinary and Plenipotentiary to Denmark, and Ambassador Extraordinary and Plenipotentiary to the United Nations Educational, Scientific, and Cultural Organization (UNESCO). Graduated from the University of Tokyo in 1971, he joined the Foreign Service (Ministry of Foreign Affairs) in 1972. He has published many books in Japanese and English, including Sekai ni Tsutaeru Nihon no Kokoro (Explaining the Soul of Japan to the World), Seisadaigaku Shuppankai, 2016; Fujisan Sekai Isan e no Michi (Fujisan: The Road to World Heritage), Mainichi Shinbun, 2014; The Owl of Minerva and the Future of Japan (Mineruva no Fukuro to Asu no Nihon), Kamakura Shunjusha, 2012 & 13; Wielding Soft Power: The Key Stages of Transmission and Reception in Yasushi Watanabe and David L. McConnell eds., Soft Power Superpowers: Cultural and National Assets of Japan and the United States, M. E. Sharpe, 2008; Chapter 11, World Trade Organization, Negotiations under the Impact of Globalization: The Opportunity and Challenges of Multilateralism in the Twenty-first Century; The World Trade Organization: Governance, Dispute Settlement & Developing Countries, Juris Publishing, 2008. A studio artist who lives in Vaughn, Washington, Richard Notkin’s teapots and ceramic sculptures are in more than 70 public collections, including the Metropolitan Museum of Art, New York; the Smithsonian Institution, Washington, DC; the Los Angeles County Museum of Art; and the Victoria and Albert Museum, London. 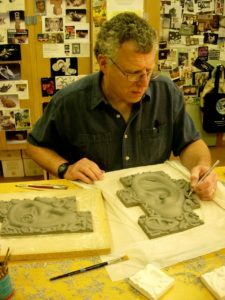 His awards include three visual arts fellowships from the National Endowment for the Arts, and grants from the John Simon Guggenheim Memorial Foundation and the Louis Comfort Tiffany Foundation. In 2008, Notkin was elected a Fellow of the American Craft Council and awarded a Hoi Fellowship by the United States Artists Foundation.